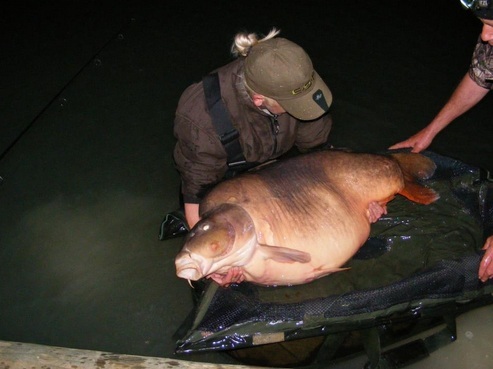 British angler Jo Green captured a record breaking mirror at 84lb last week. The carp, nicknamed The Brown Fish, is breaking the former WR carp for women with 12lb. 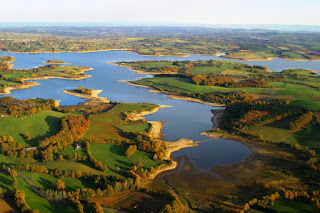 On record venue Les Graviers, known for the current world record carp The Scar, British angler Jo Green managed to land the beautiful Brown Fish at a weight of 84lb. That's 12lb more than Sandra Claessen's former world record carp captured at Abbey Lakes, another populair fishery in France. Claessen broke the record in november 2009.